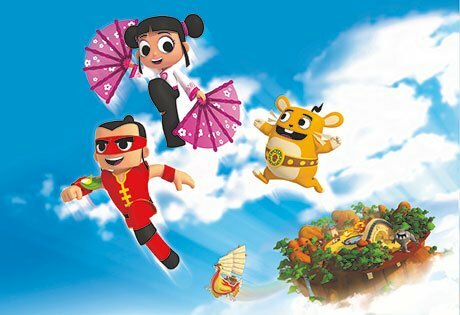 Spanish children’s producer and distributor Imira Entertainment is leading its slate for Mipcom with a comedy-adventure coproduction involving companies from Spain, India and Ireland. Mondo Yan (52×12’) uses CGI to tell the story of three unlikely and awkward heroes entrusted with a mission to save humanity from mutant monsters. The show is aimed at kids aged 5-8 and is being coproduced by Imira, free-to-air terrestrial channel Televisió de Catalunya (TV3), India-based Toonz Media Group and Telegael of Ireland. Also on the slate is Miniforce X (52×13’), about a group of commandos tasked with protecting animals, and animated action-comedy Spy Penguins (26×5’). Imira is also presenting Magic Mania, (26×12’), a live-action magic show produced by Veralia, that teaches kids how to do the simplest yet most astonishing and entertaining tricks. Imira’s preschool slate includes fantasy-adventure show Dee Dee, The Little Sorceress (52×11’) coproduced with Neon Creation and Toonz, with the latter also involved on The Story of Bookworm Gogo (104×5’), which has been coproduced with Xrisp.